COER invites you to an Employer Panel on February 13th at 4:00 p.m. in Carver Turner in the Havener Center. 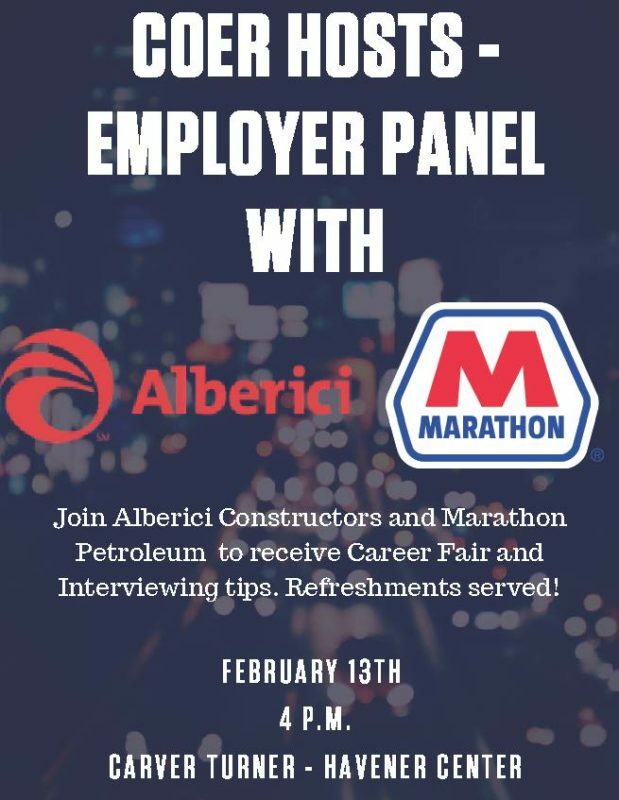 Receive Career Fair and interviewing tips from representatives from Marathon Petroleum and Alberici Constructors. Refreshments served!